If that is not reason enough to consider changing to the Aero D then think about how you’ll stand out from the crowd, with a legal ‘L’ plate front and rear and optional graphic message above and to each side. Made to the highest standard utilising top quality components and materials. 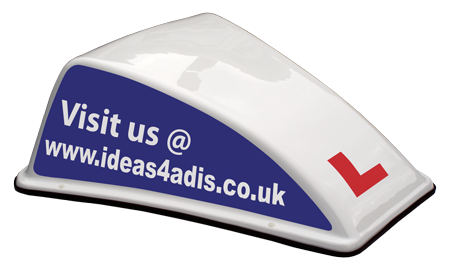 They are made from 5mm Acrylic Capped ABS which have been UV treated to prevent fading from the sun, resulting in them lasting much longer than the average plastic roof sign. In fact, they are guaranteed to stay white for a minimum of 3 years. 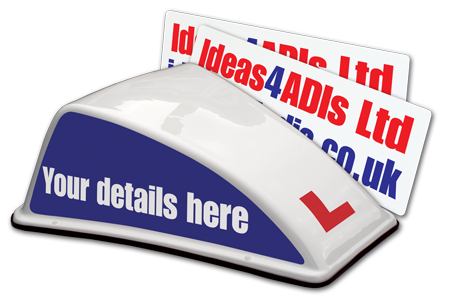 The five magnets used, most others have 2 or 3 magnets, are rubberised and have been specifically designed for roof signs: this increases and spreads the surface area which adheres to the roof of the vehicle. 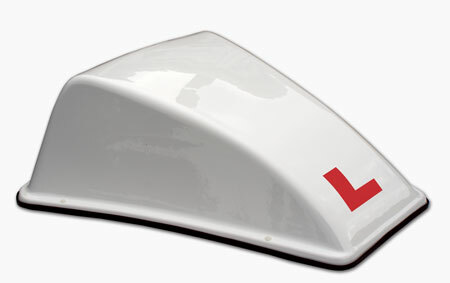 We also supply a protective rubber seal that fits around the base of the roof sign ensuring there is no damage to the vehicle and prevents under-current which might lift the roof sign off. This means you don’t need to apply a protective film on your roof, which can cause variations in the paintwork colour when removed. *against fading and yellowing from sunlight - †Tests conducted on behalf of PMN Ltd 2006.